Framing pastel paintings can be a very complicated and tough job. Selecting the correct frame for the specific painting is hard and tricky. If you select a frame that is not suitable it could ruin the entire feel and look of the painting. To simplify the process of selecting the appropriate frame for your pastel paintings we have an extensive range of beautifully selected Encaustic Templates. 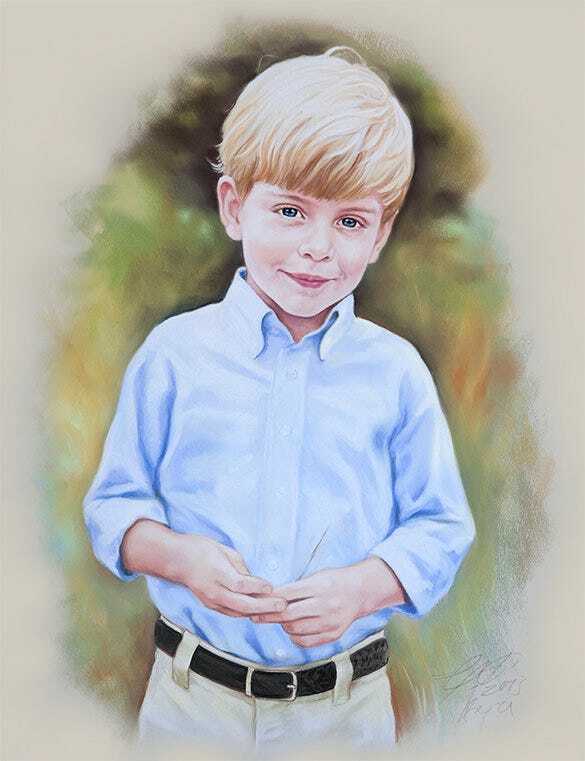 Here you can see the framing pastel painting of a little boy. The image seems so real that it doesn’t seem like it has been drawn using only pastel colors. 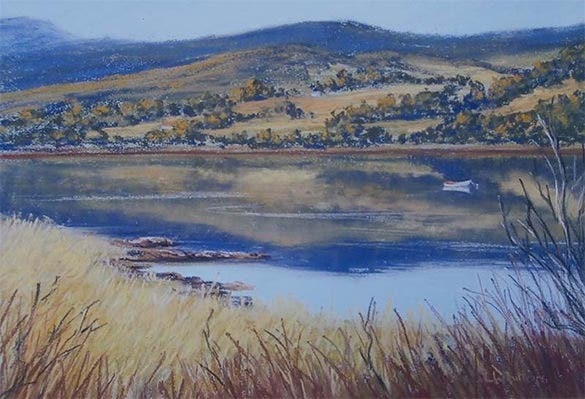 Landscapes when drawn in pastels have a very beautiful visual effect. That kind of effect has been shown in the above framing pastel drawing of a beautiful and green clear pasture. 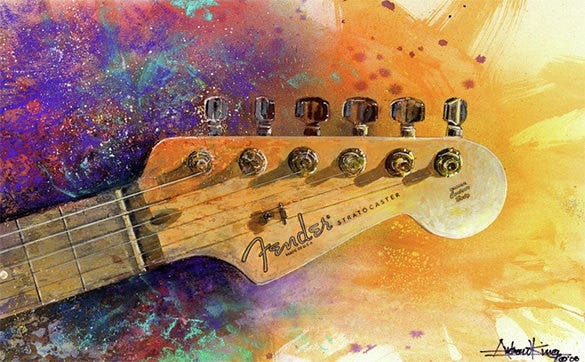 The head of the guitar is shown to be made of wood and the effect of wood can be best brought out if the same is drawn using pastels. The above framing pastel drawing shows the magic of pastel. This framing pastel drawing will be best appreciated by the lovers of modern art. The mix of the two colours in the drawing is beautifully done with the help of pastels. The above image is of a framing pastel drawing that has now fallen into the category of antique. 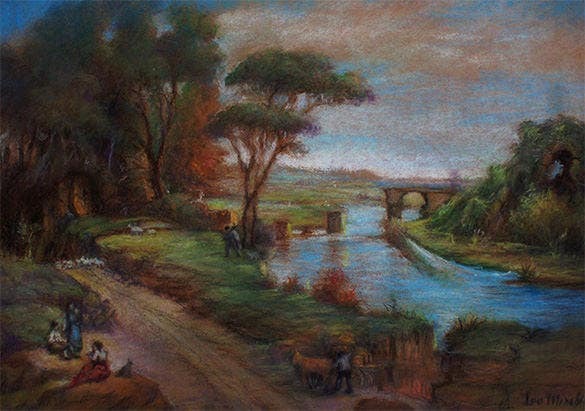 The picture shows a village scene along the banks of a river with a broken bridge. 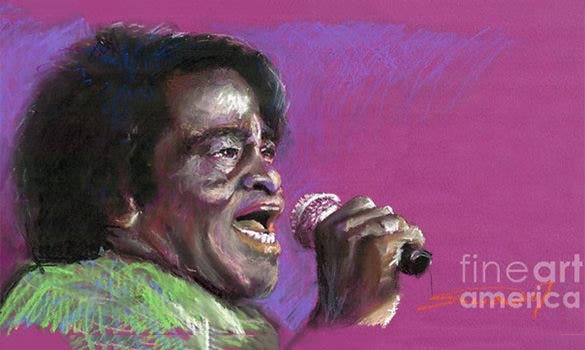 The James Brown pastel painting would look perfect if framed in a wooden frame and displayed at a jazz bar. It is a paid template and can be easily downloaded. This painting has the image of the famous jazz singer on it holding a microphone and singing. The river landscape pastel painting would stand out when put in a matte black frame. It has a phenomenal hilly backdrop surrounded by a pristine river. 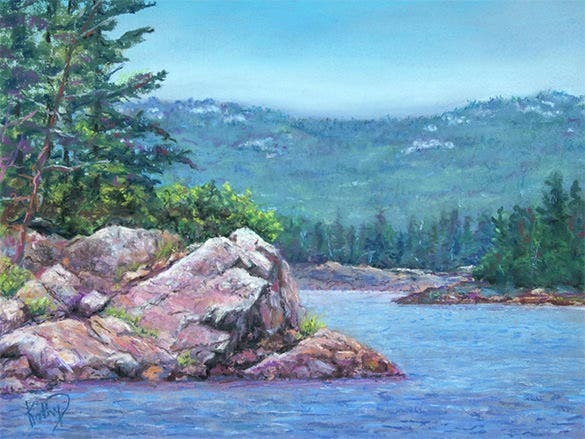 The painting would look best if placed in your living room, bedroom or office waiting room. 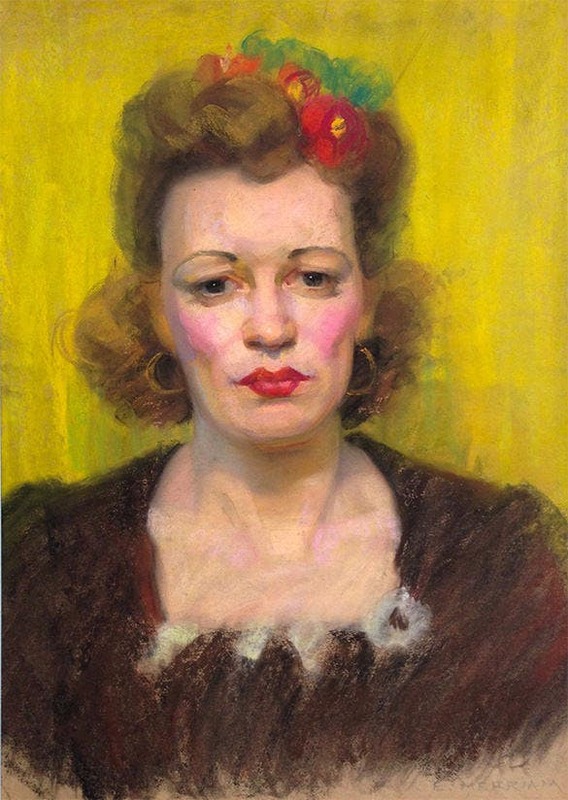 The fantastic pastel painting has the image of a woman on it. The painting has been created with such immense talent that it actually manages to portray the sadness and depth in the woman’s eyes. This painting would look perfect in a tan frame. 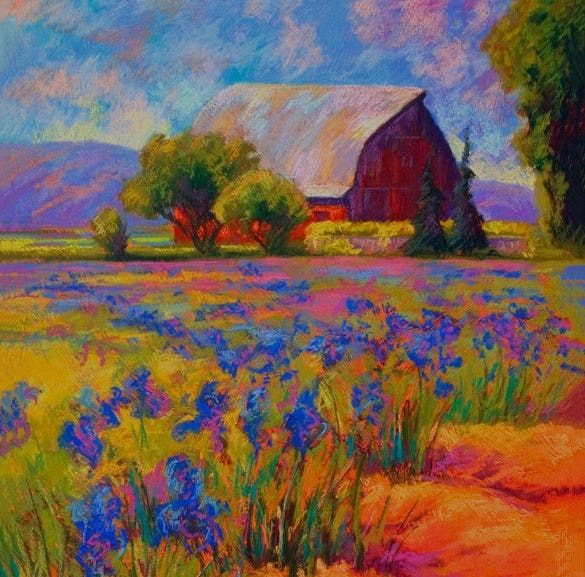 The iris field pastel painting is a breathtaking piece of art and has vibrant and captivating colours. 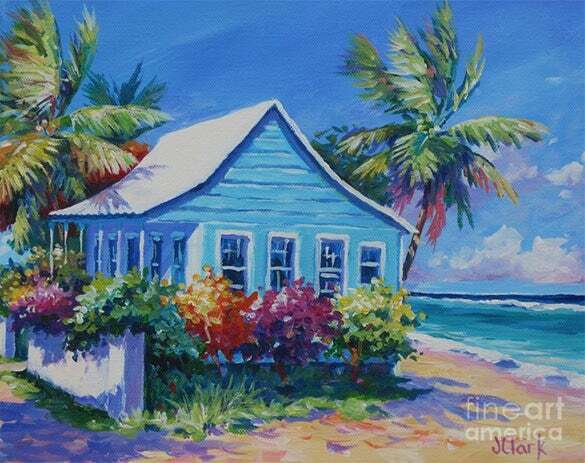 This painting would look best framed in a dark brown or black frame. It can be hung up in a residential unit, office space or even at the lobby of a hotel or restaurant. The Irish river pastel painting would look best with a wooden frame. 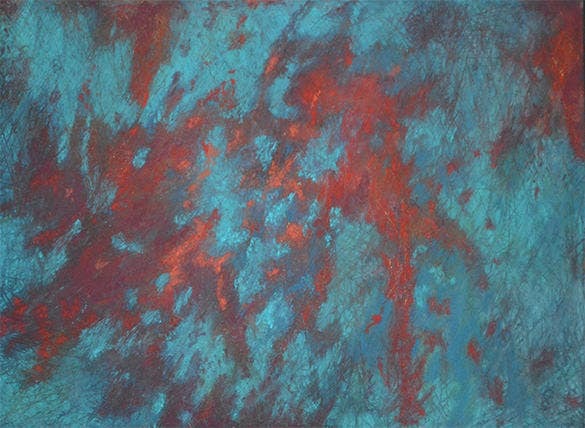 The painting has a variety of pastel brown and green shades in it. This painting would be best suited for an office or doctor’s clinic. The painting is a paid one. 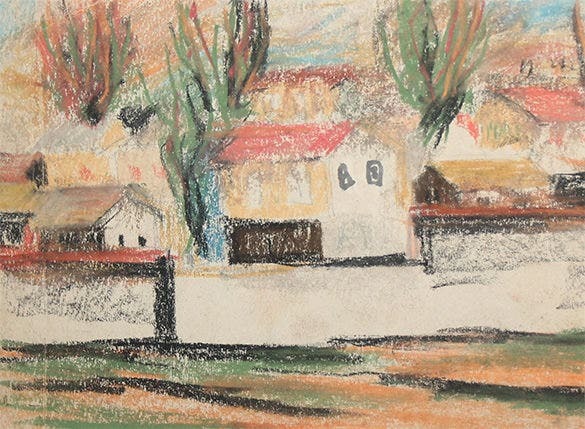 The vintage village landscape pastel painting would look best with a light brown or a fiery red frame. This painting can be hung up in a reading room or library. This painting would also look good in the conference room of an office. 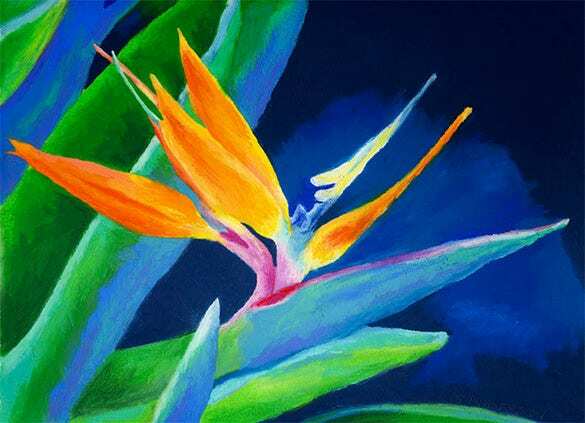 The bird of paradise pastel painting is absolutely stunning and lifelike. 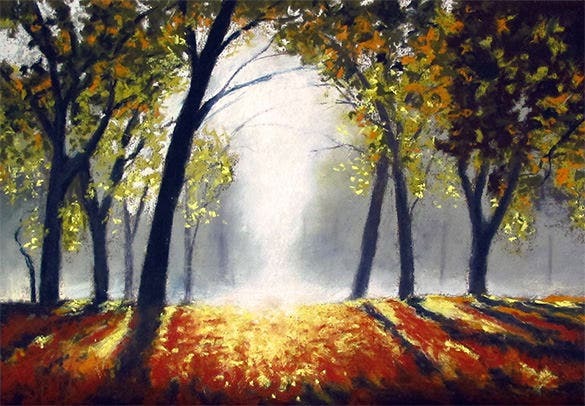 This painting would look best in a tan coloured wooden frame. The bird of paradise painting can be hung up in your home, office, boutique and almost any other space. 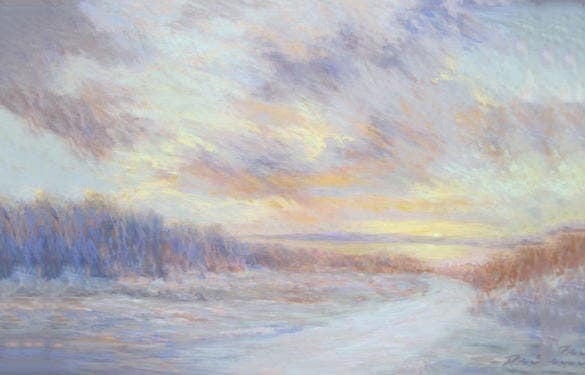 The wonderful pastel painting would look best when framed in a deep yellow or ochre coloured frame. This type of painting can be hung up in the library, in the den and various other places. The painting has a mystical and captivating feel to it. 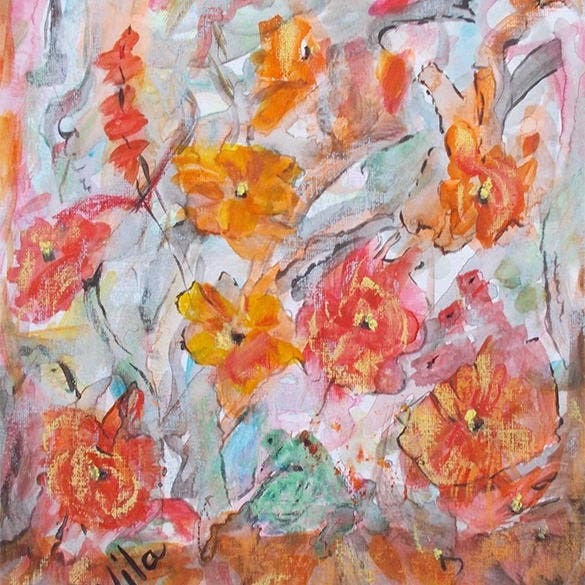 The hand painted pastel is blooming with abstract flowers. This painting would look best when framed with a black frame. The painting is eye catching in a very subtle way. This painting can be placed in a young girl’s bedroom or even in your living room. The bay of islands pastel painting is absolutely breathtaking and lifelike. This painting would look good in almost any dark coloured frame. This painting is best suited for a hospital waiting room, library, study room and so on. This painting is a paid one. 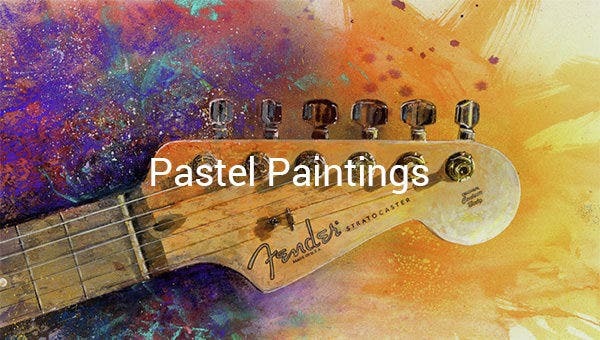 Our framing pastel painting templates allow you to choose from numerous interesting frames. Some of these frames include classy wooden frames, matt black frames, gorgeous gray frames and multiple other suitable choices.